City of York Council is interested in your views on its ‘public engagement’. 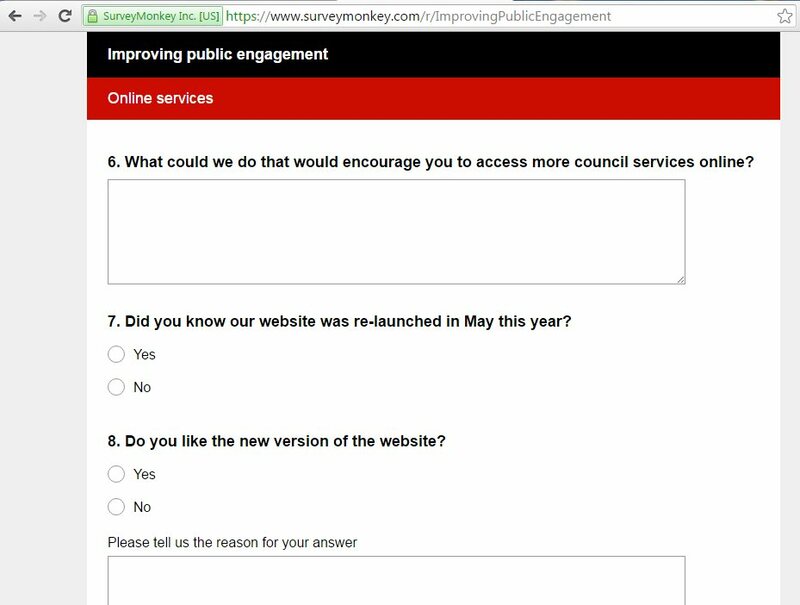 This survey has I think had its deadline extended – which suggests they didn’t get enough public engagement to begin with, and really would like more. It’s open until 20 January. It’s one of several listed on https://www.york.gov.uk/consultations. Personally I’d like the city council to do something about the planning applications part of its website, one of the places where people really do want to be engaged, but no doubt wander round confusedly, wondering how they go about doing that, and where interesting and valuable documents often seem to come and go in an apparently random way. There are a few ‘page not found’ results here on my website, despite my best efforts. Some are inevitable. 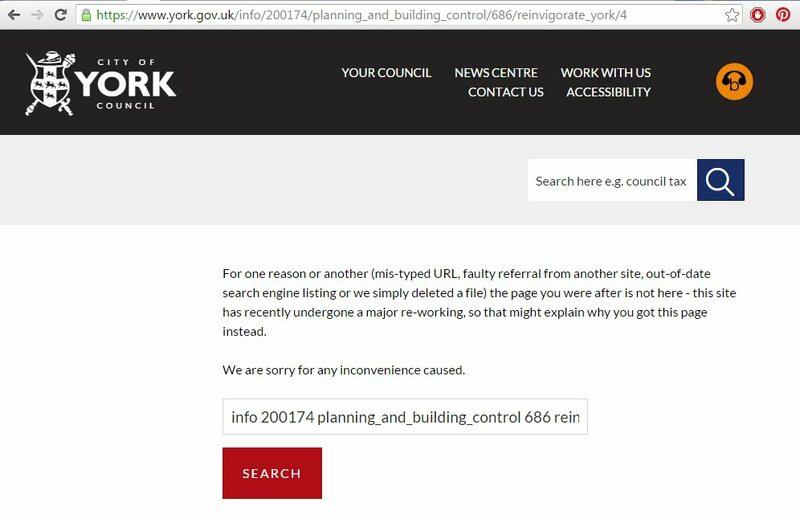 But I’ve found so many broken links into the council website, giving me the impression that they put less effort into setting up URL redirects than I did. By Lisa @YorkStories • 13 January 2016 Council To link to this page's proper location please use the > permalink.